No one has to tell you that moving can put a serious dent in your finances. If you’re buying a home, you’ll pay a down payment and have to hand over your checkbook to cover closing costs, inspections, and homeowners insurance. Renters need to cover a deposit and one or two months' rent up front, plus a pet deposit if applicable. As if this isn’t enough, you’ll have a lot of moving expenses to cover too. Make sure you budget for everything to ensure you don't come up short on finances when you really need them. You will need boxes, tape, bubble wrap, packing paper, bungee cords, and moving pads. 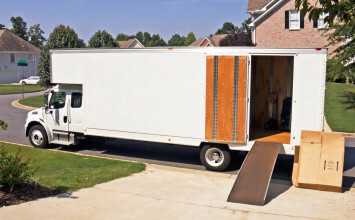 If you’re handling the move, you’ll also need to factor in the cost of the truck and a dolly rental. Keep in mind that there are a lot of supplies around the house you can use in lieu of packing supplies. For example, garbage bags are ideal for moving clothes on hangers. Are you hiring a moving company? If so, then you won't need to budget for the price of a dolly and truck rental. Otherwise, you may need to budget for food and beverages for those helping you out. If you’re renting a truck, you’ll need to account for mileage. Make sure you know how many miles are included in your price. You’ll need to budget money for gas, and the fuel tank will need to be at the same level as when you pick the truck up. You’ll need to figure the cost of storage into your budget. Key questions to ask: Will you have to pay a deposit? Is it worth it to you to pay a little more for climate-controlled storage? If you’re just transferring services, you may have no expenses here. For new services, you may need to pay a security deposit. This is becoming increasingly common with cable and Internet providers, particularly if your credit is blemished. Tip - If you hired movers, make sure you have cash for a tip. Consider the job they do as well as the weather, flights of stairs, and the weight of heavy or oversized items when determining how much to tip them. You can order pizza the first night, but you’ll probably want enough cash on hand to stock up the fridge for the next week or so. If you already have a home, you probably won't need many household essentials. Otherwise, you’ll likely have to buy toilet paper, paper towels, trash bags, dish soap, cleaning supplies, shower curtains, etc. It’s important that you have a full inspection done on your vehicle before a long distance move. Do you need an oil change, brake pads, tires, hoses, belts, or anything else? You should have some emergency money in case you run into a problem on the road.